If you follow the news, you probably noticed that President Trump is moving quickly on his campaign promises. You have also probably noticed that the Senate opposition is slow-walking his cabinet appointments to make it harder to for the president to address regulatory actions. The reason Democrats believe they can slow Trump is because they know that Presidents who follow the law are limited in what they can do through executive orders. Donald Trump, acting on his own can easily incapacitate AFFH until the incoming Secretary can coordinate with Congress to fully eliminate the threat. 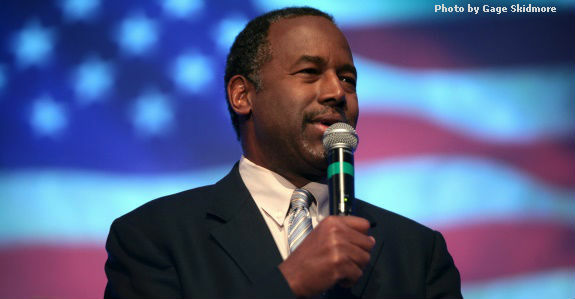 Even if the confirmation of HUD Secretary nominee Dr. Ben Carson takes months! Here are the bases for three executive orders, or they can be the less formal but equally potent executive memoranda, President Trump can pass to Housing and Urban Development that will temporarily halt AFFH while awaiting permanent measures. There are also three additional orders to assure AFFH does not harass communities. Instruct HUD to remove all references to “regions’” and the requirement to align the Fair Housing Assessment application process and/or the grant recipients consolidated plan with a region. This order applies to any grants associated with Affirmatively Furthering Fair Housing, including CDBG, HOPWA, ESG and HOME grants both by communities and public housing authorities (PHAs). This eliminates the move by HUD to herd communities into regional planning under the guise of fair housing and preventing discrimination. HUD’s provided data tables and demographic charts create the core for centrally controlled planning and manipulation of local communities into regional planning efforts. Removing this tool limits federal control of housing locations and human relocations. This program enables HUD to relocate families, often against their will, and to resettle established communities with little regard to current residents, zoning laws, or personal property rights. In June 2016, HUD formed a team with the Department of Education and the Department of Transportation to advance classroom diversity in all elementary and secondary schools using income as its basis. The program is extrapolated from former President Obama’s 2017 HUD budget item entitled, “Stronger Together.” This entire program needs review.